In 2016 I got the opportunity to create the flyer for „Fidena – Das Deutsche Forum für Figurentheater und Puppenspielkunst“ (The German Puppet Theatre Forum). I wanted to create a unique flyer that refers to puppet theatre. 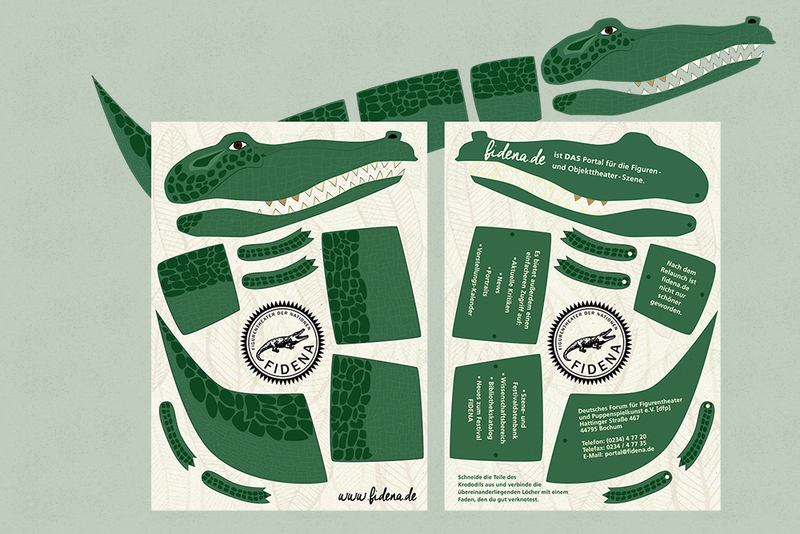 A postcard came out that easily can be transformed into a paper-puppet. And the best thing: You don’t lose any of the information about Fidena! It's all over the back of the crocodile-puppet.